Coolscupting by Zeltiq offers the ideal solution to eliminate stubborn fats that stays no matter how much you exercise. It's almost impossible to remove stubborn fats that come in the forms of annoying muffin tops, love handles, saddle bags and belly pooch. You are left with two options, either to live with it, or undergo surgery. Surgery, however, is not an idea welcomed by relatively conservative Asians. Coolsculpting thus emerges to be the ideal solution to removing stubborn fats! Coolsculpting is the more natural way to remove these stubborn fats. Its procedure does not involve the use of laser, sonic waves and surgery, which can potentially destroy other tissue in the process of burning, shattering or extracting the fat cells. Fortunately, Coolsculpting uses a patented procedure developed by Havard Scientists. It does targeted cooling to kills fat cells underneath the skin, freezing them to the point of elimination. 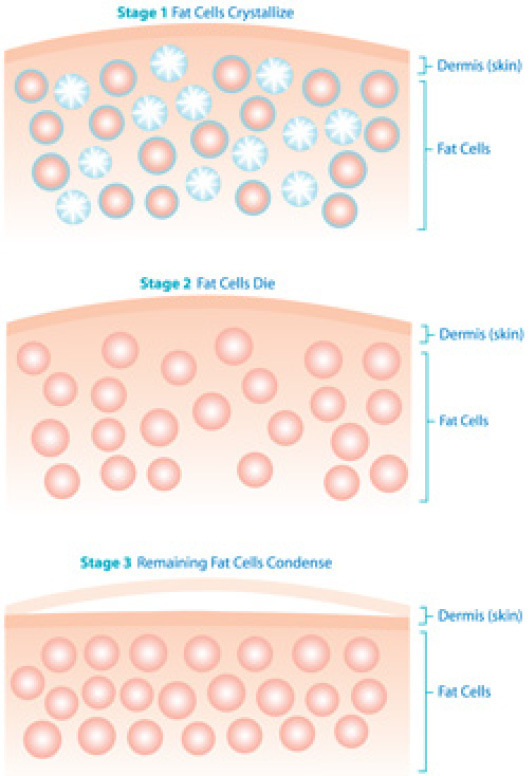 Only fat cells are frozen, other healthy skin cells remain well and healthy. No knives. No suction hoses. No needles. No scars. Once crystallized, the fat cells die and are naturally eliminated from your body. After a few months, you can see an obvious change in you, a slimmer and more confident you. Who Is A Good Candidate Of CoolSculpt? Best candidates are near their ideal body weight with diet and exercise-resistant fat bulges. If you are seeking spot reduction for specific areas of fat but are not considering a surgical procedure, CoolSculpt may be right for you. CoolSculpting is not intended as a weight-reduction program for overweight individuals.